the only Georgia school ranked in the Top 10. 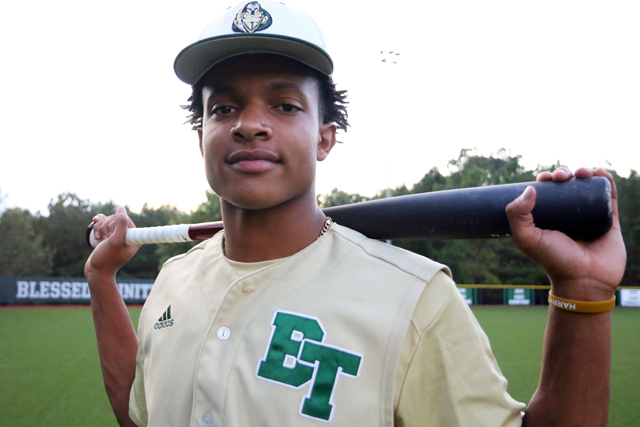 Blessed Trinity will open the 2019 season in Perfect Game's Preseason Top 10. The Titans are ranked fifth nationally, the highest ranked school in the state. A pair of other Georgia high schools will begin the season nationally ranked. Parkview, the defending Class 7A state champion, will begin the season ranked 19th, while Buford will begin the season at No. 38. But Blessed Trinity has gained the most attention in the preseason. The team features three-time all-state standout CJ Abrams at shortstop. Meanwhile four other preseason all-state selections -- outfielders Steele Chambers and Ryan Davis as well as pitcher/infielder Jake Smith and pitcher/infielder DJ Radtke -- highlight an all-star roster that should help Blessed Trinity contend for the Class 4A state championship. Last year, the Titans were eliminated by Jefferson in the state semifinals after they had played in the state championship series for four consecutive seasons.